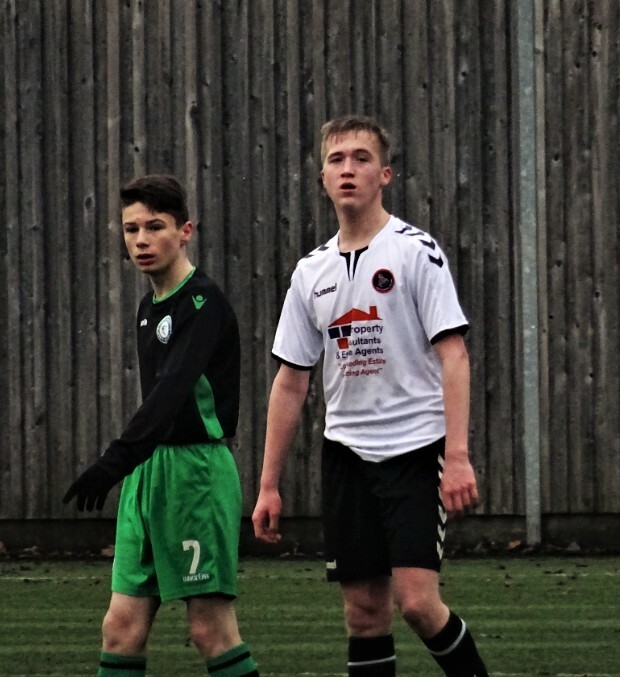 After the Festive Season we returned to action today against Shettleston. Unbeaten in the league this far, Shettleston would be looking to add another scalp to their impressive league form. 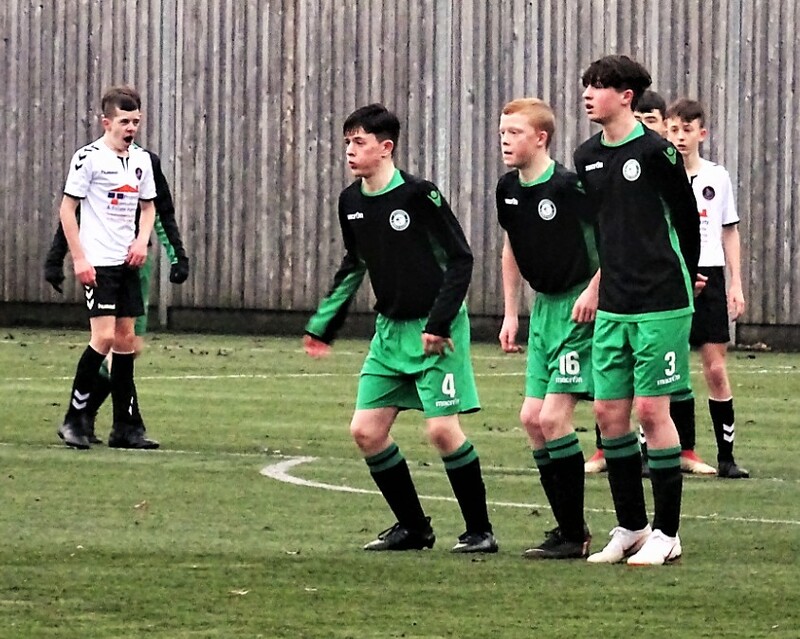 Standing in their way we headed to Greenfield confident our quality of play would see us through. We started off well but had to deal with the long ball from the outset. Beau and Dylan were kept busy intercepting the aerial threat. However, we were first to strike with five minutes in. Ricky’s industry on the left wing earned him a corner. Gallagher took it and delivered a great ball into the danger area and Ricky leapt to meet the ball hard; the ball hit the underside of the bar and bounced into the net. The goal was loudly cheered by the travelling support. Their cover was blown and they were immediately asked to shift to the opposite side. Strict rules disallowed the fraternisation between opposing clans. And so the exodus began. In a procession, the St. Patrick’s faithful abided by the rules which required them to go and cheer their team from the opposite side, well away from the hosts. On the field the battle raged on. Both teams determined not to lose ground. The clash of styles, though obvious never took away from the common objective, the battle for supremacy. An action packed first half was heading to an end when Ricky was fouled on the left wing just outside the penalty area. Ben stepped up to take the free kick. With precision he smashed a fantastic strike to beat the keeper at the near post and increase our lead. We went to half time with a two goal lead. At the restart Shettleston showed heart and looked to hit back. But they were caught out cold when Ricky won a penalty three minutes into the second half. Beau took charge and converted the spot kick. We were in complete control and the game was there for the taking. Or so we thought…. Fast forward last ten minutes. Shettleston pulled a goal back. Re-energised they pushed for a second goal. Five minutes later their efforts were rewarded. This made for a frantic finale. While we set about managing the game out, Shettleston worked on getting the ball into our penalty area as quickly as possible. They eventually succeeded in added time. Lennon, back in goals after Joe’s premature injury, parried the ball out but the ball fell to the Shettleston striker to head into the net. The final whistle went and we knew we were undone. In the end, we came away from Shettleston with a single point. No doubt the disappointment was palpable as we should have wrapped up all the three points and a well deserved victory. 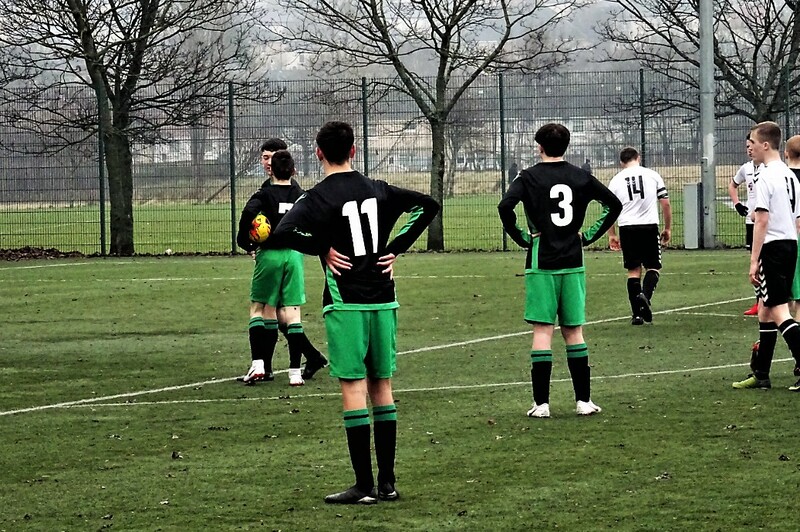 To their credit Shettleston battled hard and were certainly the happier side with a draw. A last ten minute blitzkrieg saw them grab a vital point. We went away however with a hard learned lesson in game management. But we should not be too disheartened, our positive playing philosophy will no doubt be rewarded in the longer run. No Replies to "Shettleston Jnrs Vs St. Patrick’s – 2004"